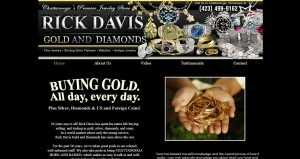 Rick Davis Gold and Diamonds address, phone, website, hours of operation, and more. 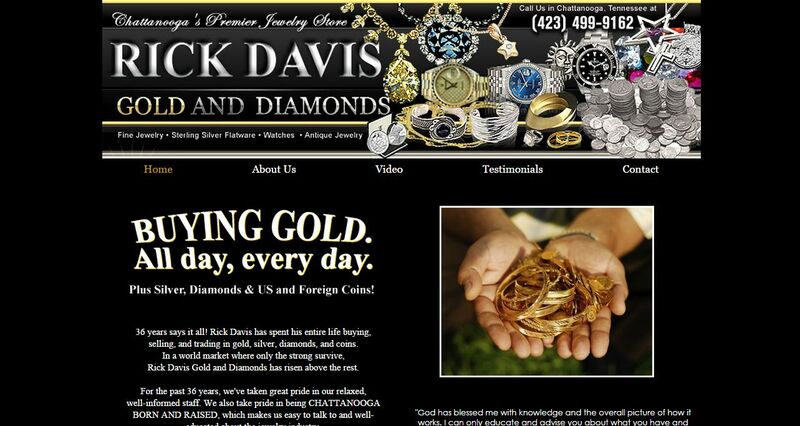 In a world market where only the strong survive, Rick Davis Gold and Diamonds has risen above the rest. For the past 36 years, we’ve taken great pride in our relaxed, well-informed staff. We also take pride in being CHATTANOOGA BORN AND RAISED, which makes us easy to talk to and well-educated about the jewelry industry. We’re your friends in the jewelry business.